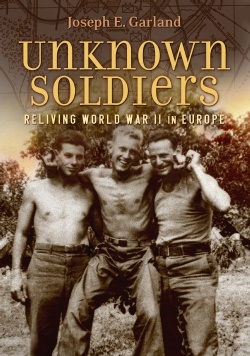 With Unknown Soldiers , internationally acclaimed author Joseph E. Garland presents World War II through the eyes of a close-knit infantry platoon-men who braved Nazi fire to stake out the front lines of the Allied campaigns in Sicily, Italy, France, and finally Germany. The book began as Garland's wartime notebooks, and follows his journey from privileged Harvard student to "dogface" with the 45th Infantry Division on the Winter Line and then Anzio beachhead. During the 1970s, still struggling with war's aftereffects while attempting to write his memoir, Garland tracked down some 20 buddies. 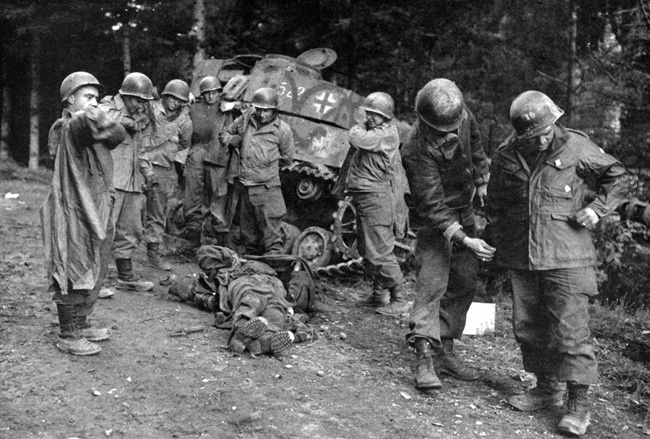 Most had never spoken of the war to anyone; they talked to Joe with grit and humor and suffering intact, and the story grew into a collective memoir. Garland gets beyond the heroism of conventional war memoirs, revealing in almost eerie, present-tense immediacy the everyday lives of soldiers as they discuss among themselves everything under the sun while gathering around a wind-up record player in a cave in Italy, and driving along French country roads lethal with enemy gunfire. recollections of a French Resistance fighter who joined the platoon, to fresh eyewitness accounts of the Dachau liberation, Unknown Soldiers contributes important new material to our record of World War II and indeed the true nature of war itself. Sixty-five years in the making, the book fulfills Garland's mission to break the silence that allows war to ensnare generation after generation. In giving voice to his "unknowns," Joe has given them an indelible place in history.